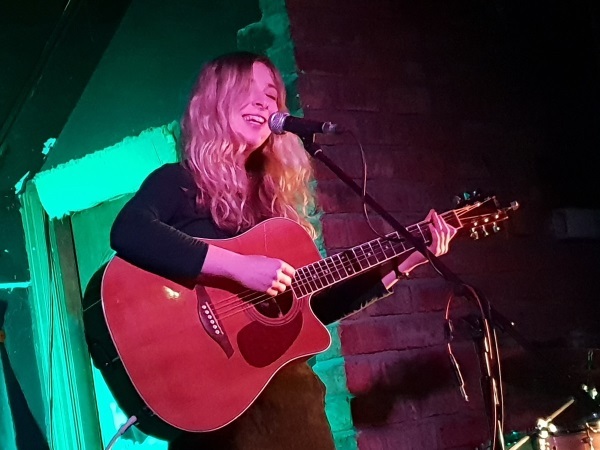 Last Sunday night at Celtic Connections offered a rare chance to see Martin John Henry and Gillian Fleetwood on stage after both their two shows last year were cancelled for different reasons. 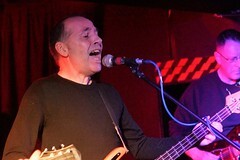 Unlike De Rosa, Henry & Fleetwood are essentially acoustic based, certainly in the live setting. Freed from behind a keyboard (mainly) Gill was able to perform the majority of the set on her preferred instrument, the harp, giving the songs a pretty unique setting in an indie context. 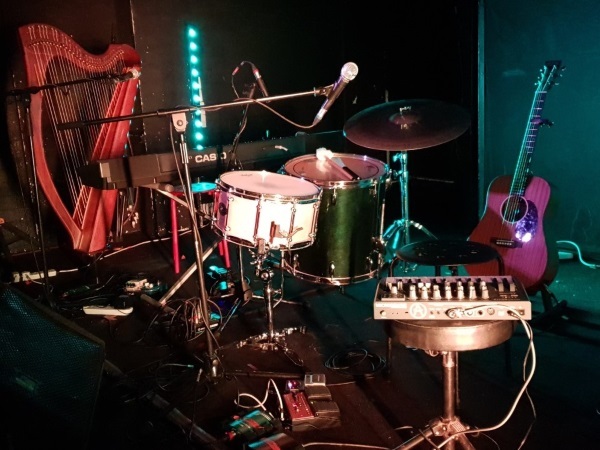 Having said that, whilst the only previous time I’d seen the duo play the instrumentation was strictly guitar and harp, the stage set-up for this performance was a little more involved including a piano, a synth and … drums! 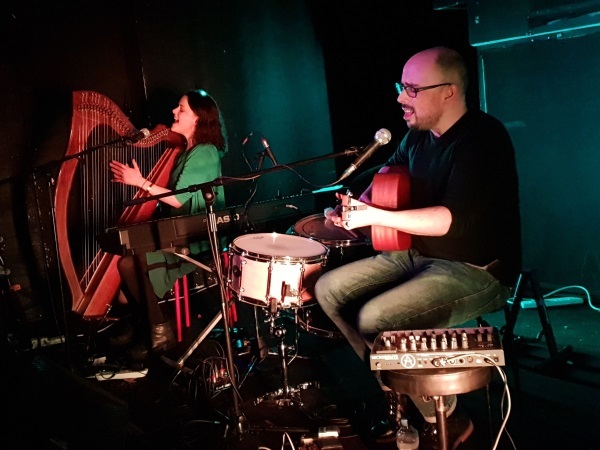 Whilst it’s hard not to recognise Martin’s songwriting the songs are differentiated not just by the harp but by the fact that Gill sings on a lot of songs. The material was split between H&F originals and a number of covers. Half the original material was taken from the sole Henry & Fleetwood EP to date (although another is promised for later this year) whilst the unrecorded tunes sounded promising indeed. The covers took in fair range, from the seasonally appropriate Rabbie Burns through Michael Marra to something more contemporary in the shape of Low’s ‘Last Snowstorm of the Year’. 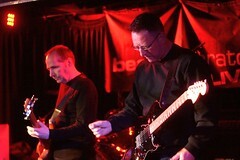 They even managed to squeeze in the gentler side of De Rosa with a take on ‘Swell’. 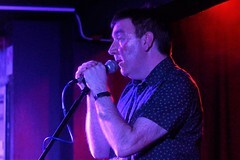 It was a genuinely lovely, gentle performance with the normally taciturn Mr Henry, egged on by his colleague, coming over all garrulous between songs. 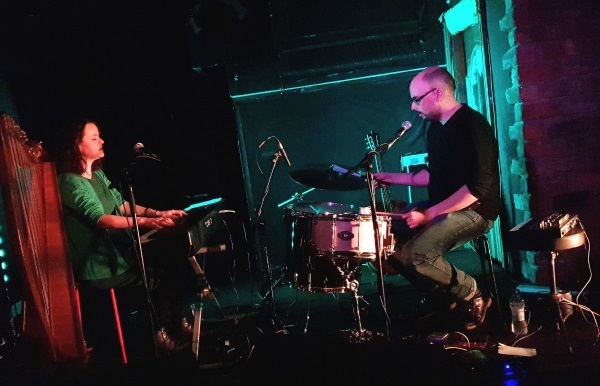 The duo’s full eleven songs set however didn’t prove sufficient for the audience and they were dragged back on stage to play a genuine unplanned encore. After a little head scratching, we were rewarded with a second De Rosa song of the evening, ‘The Engineer’. 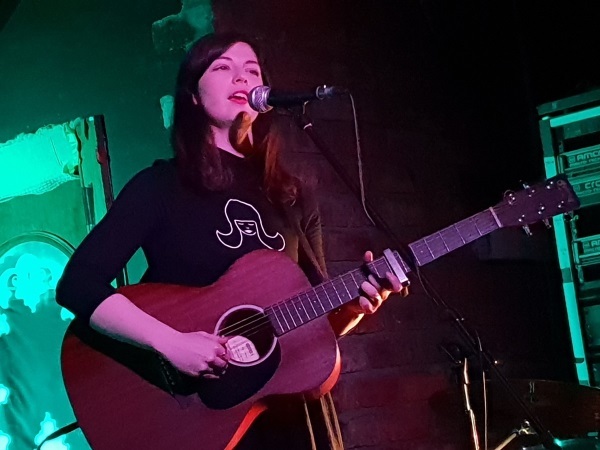 It was a fitting finale to an exquisite set which would have been worth the attendance fee on its own – but we also got two excellent support slots. Compared to the comparatively bright lights of the Safari Lounge a few months back Annie Booth seemed happier on stage at the Hug and Pint. Whilst confessing to a certain uncomfortableness between songs she still delivered an assured performance which somewhat undermined her self-deprecating remarks! Roxanne de Bastion was next but there was no danger of her lacking confidence. From the moment she took to the stage she was determined that she was going to engage with the audience. Performing mainly with an acoustic guitar, she also slipped behind the keyboard for a couple of numbers. Roxanne’s set met with the approval of both myself and Mrs MPT and the 2017 debut LP was subsequently purchased. All in all, the show provided a splendid finish to our Celtic Connections weekend.